This one is pretty amazing — 1,000 teens will be paid to get good job experience. Resumes and cover letters sure, but also workplace internships and mentorships. It is worth your time to check out the Cover Letter for 2015 Applicant Form and fill out the Applicant Form. Your friendly branch librarian is standing by to help you with this, if needed. Notice the deadline, though? 10 days and counting down. This entry was posted in Careers, College Prep, Community, Employment, Heard 'round the interwebs, Teen Powered and tagged internships, Jobs, SYEP on April 3, 2015 by Jenny C..
Last chance to apply for KUOW’s RadioActive! Applications are due today for RadioActive’s 2015 spring workshop in radio journalism! If you (or young people you know) would be excited about this PAID OPPORTUNITY to tell stories and learn how to make radio, please remind them to get their applications turned in! More information about the 2015 spring workshop and the RadioActive youth media program is below. Workshop applications are due today, January 21, by 11:59 p.m. 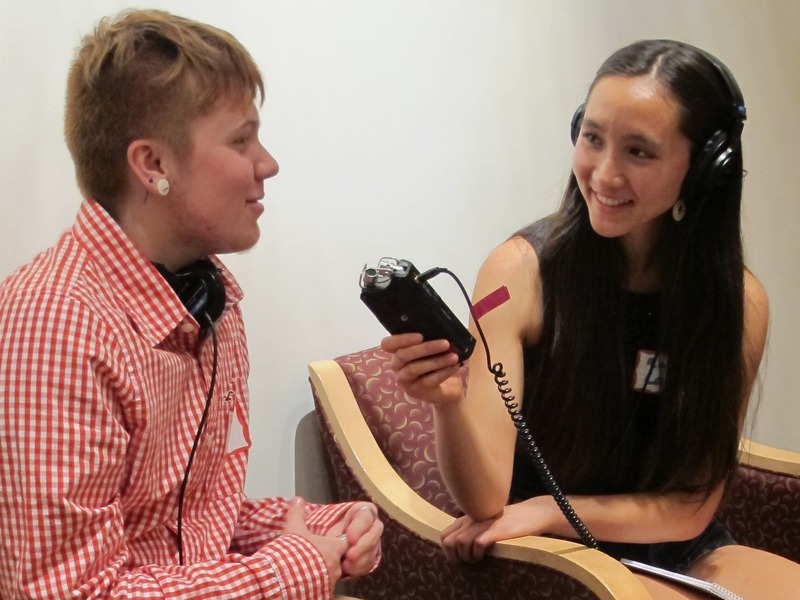 In this fun, rigorous and hands-on workshop, youth ages 16-18 learn about journalism, audio recording, audio editing, interviewing, writing for broadcast, and speaking on the air. During the workshop, the six participants will work collaboratively to create feature radio stories on topics of their choice that will be published on KUOW.org and shared at a public listening party! Best of all, RadioActive participants have the chance to amplify their voices by telling true stories about their communities, and the topics that are important to them. RadioActive’s 2015 Spring Workshop starts on Tuesday, February 10, 2015 and ends on Thursday, April 30, 2015. 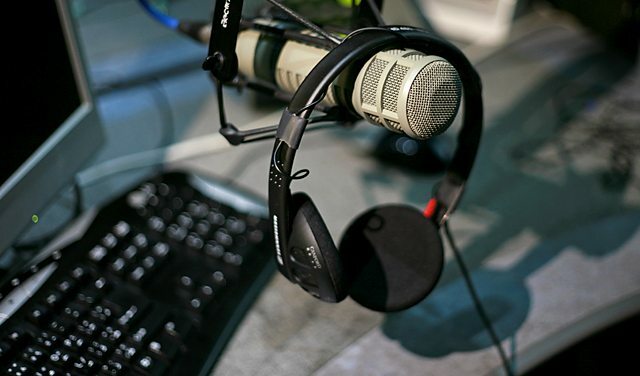 Workshop meetings are held every Tuesday and Thursday from 5:00-7:00pm at KUOW’s studios at 4518 University Way NE in Seattle’s University District. We also have all-day workshops on Saturday February 14th, Tuesday February 17th, and Saturday April 18th. This entry was posted in Activism, Community, Employment, Free Stuff, Read This!, Seattle, Technology, Writing and tagged internships, interviews, Jobs, journalism, KUOW, public radio, public speaking, radio, radio journalism, RadioActive, Scholarships on January 21, 2015 by Rae. Tomorrow is your last chance to apply for RadioActive’s spring workshop! Applications are due tomorrow for RadioActive’s 2015 spring workshop in radio journalism! If you (or young people you know) would be excited about this PAID OPPORTUNITY to tell stories and learn how to make radio, please remind them to get their applications turned in! More information about the 2015 spring workshop and the RadioActive youth media program is below. Workshop applications are due tomorrow, January 21, by 11:59 p.m. This entry was posted in Activism, Community, Employment, Free Stuff, Read This!, Seattle, Technology, Writing and tagged internships, interviews, Jobs, journalism, KUOW, public radio, public speaking, radio, radio journalism, RadioActive, Scholarships on January 20, 2015 by Rae. Are you a teen interested in storytelling and journalism? This might be the perfect workshop for you. RadioActive is a two-day journalism workshop where participants get to write and record a script in KUOW’s studio. Hands-on activities will include: interviewing, writing a broadcast, speaking on the air and more! Everyone that goes will have a chance to write, record, and edit their own audio. The workshop will be held at the University Branch (5009 Roosevelt Way NE) on Saturday, Oct. 25 from 10am – 4pm and at the KUOW Studio (4518 University Way NE, Suite 310) on Sunday, Oct. 26 from 11am – 4pm. Plan on attending both days. If you’re interested, please call the branch, at 206-684-4063 or contact librarian, Kristy at kristy dot gale at spl dot org. Registration required. For ages 13-19. This entry was posted in Community, DIY, Employment, Events, Writing and tagged broadcasting, internships, interviews, journalism, KUOW, public speaking, radio, RadioActive, story-telling, University Branch on October 23, 2014 by Teen Blogger. Pro: You have time to relax! After a long school-year, summer has just begun and you can finally have a bit of time for yourself. It is around this time that you can begin planning exactly what it is that you want to do to relax. Whether that means finding a spot to lay in the grass and read or catching a few extra hours of sleep—you’re now free to do as you wish when it comes to relaxing! Con: Your sleep cycle can become irregular. The majority of people that I know have the ability to stay up late if they try and often don’t even have to try. During the summer, when one isn’t constantly thinking about school, this can means that one can be subject to staying up late on a regular basis. Sometimes, one can be distracted by surfing the Internet, reading a book or simply losing track of time—either way, this can become a pattern that is hard to break. Pro: You have time to explore and experience new interesting places. This entry was posted in Community, Opinions, Teen Powered, Tidbits and tagged advice, internships, lifestyle, museums, reading, summer, Summer Reading Program, volunteering, written by teens on July 24, 2013 by Teen Blogger.